Southern Company (NYSE: SO) has been in the news a lot lately. It has two spectacular boondoggle projects in its generating portfolio. And Moody’s is set to downgrade the company’s debt. If you are environmentally conscious, you may want to park your money somewhere else. Southern Company is about as far away from sustainable and renewable energy as you can get. And if you’re a Southern Company ratepayer, you’ll be on the hook for the company’s big mistakes. Let’s look at them. First, Southern Company operates the largest coal-fired power plant in the U.S. The Robert W. Scherer Power Plant consumes 11 million tons of coal annually. It’s the single largest point emitter of carbon dioxide in the country. It belches out more than 27 million tons every year from its two 1,001-foot-tall smokestacks. Then we have Southern Company’s “clean coal” experiment. The Kemper County, Mississippi, coal-fired generating station was supposed to be one of the first cutting-edge “clean coal” power plants. The price tag to build it was initially $1.8 billion. As construction dragged, the price spiraled up to more than $7.5 billion, and it was “finished” five years late. Several weeks ago, the Mississippi Public Service Commission (MPSC) pulled the plug on the Kemper plant. It had only 200 days of operation under its belt. Plant engineers have identified issues with its coal gasification technology. In addition, major design flaws cause pollution leaks and ash buildup. Southern Company wants its Mississippi Power customers to pay for modifications. The MPSC said no. Southern Company then announced it would be suspending any activities associated with the coal gasification portion of the plant. From this point forward, the Kemper plant may only burn natural gas. Ironically, Mississippi Power could have taken the $7.5 billion and installed solar plus storage for all of its 150,000 residential customers. That would most certainly have eliminated the need for the Kemper plant and perhaps several others in Mississippi Power’s fleet. The MPSC will rule by next February on whether Mississippi Power will be able to continue to run the plant on natural gas or have to shut it down entirely. What a mess. But Southern Company’s story gets even worse. It is the owner of the Vogtle nuclear power plant in Georgia. The Vogtle plant has two existing nuclear reactors. But Vogtle units 3 and 4 are Southern Company’s second boondoggle. They are far from complete and billions in the red. Even worse, it looks like customers and investors are going to be stuck paying for them. Southern Company recently announced it would continue to build them. But I don’t think the plants will ever operate. Why? Back on March 29, 2017, Westinghouse Electric Company filed for bankruptcy protection. Westinghouse supplied the reactors for Vogtle’s units 3 and 4, as well as for two others in South Carolina. Its bankruptcy makes it hard for Westinghouse suppliers to be paid the money owed to them. And that has a direct effect on the utilities that Westinghouse is building the reactors for. It’s not clear whether the company will ever be able to finish any of the projects. Westinghouse, once a proud symbol of America’s nuclear power supremacy, is now a disaster. Toshiba, its parent company, is scrambling to plug big losses tied to Vogtle units 3 and 4. Funnily enough, April 1, 2017, was the scheduled date for Vogtle units 3 and 4 to come online. Yet they were only 36% complete at that point. Back in 2016, the Georgia Public Service Commission held a hearing. Testimony showed the cost to finish Vogtle was skyrocketing. Southern Company is now asking Toshiba for $3.7 billion to help it finish Vogtle units 3 and 4. That may not be enough, even if Toshiba agrees. Initial construction estimates of $14 billion may jump to $21 billion or more. That’s not surprising. 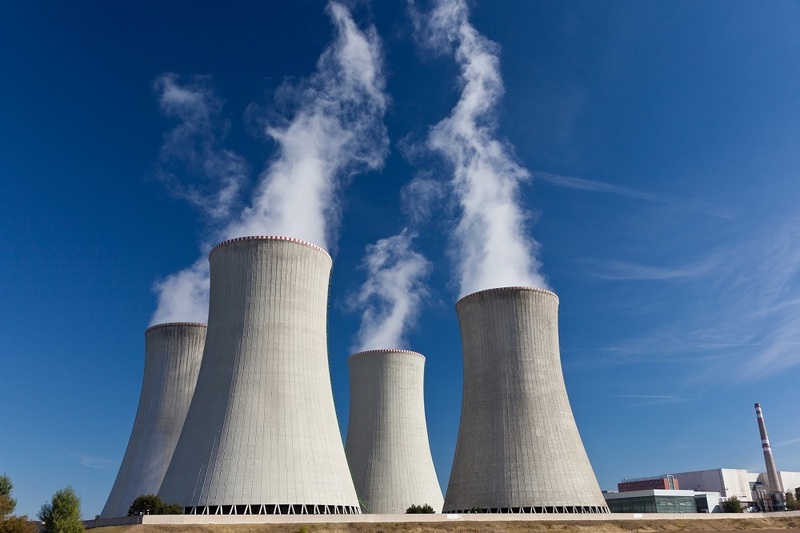 Nuclear power plant construction has a long history of missed deadlines and cost overruns. Vogtle is the latest example. Construction started on Vogtle units 1 and 2 in 1971. It finished... 18 years later. That was 10 years past the scheduled completion date. The final price tag: $9 billion... 10 times the original price. It’s doubtful that Vogtle units 3 and 4 will even be profitable when (or if) they are finished. But one thing is for sure: Southern Company ratepayers will foot the bill for this boondoggle too. Investors should beware of parking their retirement funds in Southern Company stock. I believe the long-term outlook for Southern’s juicy 4.71% dividend is sketchy. Moody’s recently issued a statement that if Southern Company decides to go ahead with Vogtle units 3 and 4, it risks a downgrade on its debt. Utility debt is generally very safe. But most utilities aren’t like Southern Company. Next month, I’m going to give you a much better utility income play than Southern Company. It’s all about sustainable and renewable energy. What’s more, its dividend is growing much faster than Southern Company’s. P.S. In my Advanced Energy Strategist research service, I’m always on the lookout for triple-bagger stocks. For instance, I have an AI stock that is up nearly 200% since I recommended it a little more than nine months ago! Some of my recommendations are very small microcaps that could eventually become quadruple-baggers. They are all riding the big energy and technology wave that has no end in sight. To learn more about my service, click here. Dave’s Advanced Energy Strategist service tracks the next generation of energy and infrastructure technologies - and, of course, the companies that are applying those technologies. As Dave said above, Southern Company’s operations consist of waning technologies like “clean” coal and nuclear. By contrast, Delphi Automotive (NYSE: DLPH) is making a big bet on one of the fastest-growing technologies in the energy and infrastructure world: driverless cars. Delphi said it’s selling its powertrain business. It wants to focus its engineering talents and its capital on higher-margin electrical components and safety products. Q1 2017 revenues were up 9% to $4.3 billion, a healthy margin above consensus estimates of $4.12 billion. Adjusted earnings skyrocketed 17% to $1.59 per share, well above analysts’ expectations of $1.46. There’s no question that the jump in Delphi shares thrilled investors. However, the company’s plan to divest its lower-margin business to focus on driverless-vehicle technology was even more exciting. Here’s what Kevin Clark, Delphi’s president and CEO, had to say about the company’s results and plans: “Our first quarter results reflect a great start to the year, building on the momentum we saw in 2016 with another quarter of strong growth, margins and cash flow. It expects the spinoff to be completed by March 2018. I will decide whether I will recommend holding on to or selling Powertrain shares once we know more about the spinoff. The reason for the spinoff is simple. Delphi sees automotive technology rapidly headed toward autonomous vehicles. It wants to be a major player in the technology behind driverless cars and trucks. It wouldn’t surprise me if Delphi became one of the top players in this rapidly expanding sector.